In the 1980’s, NASA conducted multiple studies in space, resulting in the discovery that certain wavelengths of light cause a reaction within various cell structures. These studies show that low level light can have a healing, natural and healthy influence on the human body, based on which wavelength of light is utilized. Further use in aesthetic applications have shown that red light tends to stimulate fibroblast cells which then cause collagen and elastin to form. Infrared light has been shown to stimulate circulation, which can help multiple cell structures resulting in a healing response. Of course, diet and exercise are important to lead a healthy lifestyle, while utilizing various light therapies can be an added benefit, potentially improving both appearance and well-being. The LipoMelt delivers multiple times more mid-600nm and near infrared light than the competition. This is due to the number of microchip components per pad and the spacing between the chips. Patients experiencing the LipoMelt will enjoy a much deeper and complete exposure to these wavelengths of light. The session is painless and so relaxing… there’s a mild warmth and absolutely no discomfort involved, safe and totally effective. Am I required to have a consultation? Yes. Please email us to book your complimentary consultation with one of our certified LipoMelt technicians prior to scheduling any treatments. This is for your own protection and we cannot make exceptions. During your consultation we will address any concerns you might have. You are responsible for informing your technician of any medications or natural health products you are taking, and of any underlying medical conditions you have. These are critical details that we must consider when customizing your LipoMelt treatments. We encourage you to ask all of your questions during your consultation so that we can address your concerns prior to beginning your treatment. It is important to us that you are well informed before you begin LipoMelt treatments, and you feel comfortable with our luxury spa and your technician. Serente Spa offers a complimentary consultation to allow you the opportunity to tour our facitlity, meet with a consultant and determine a customized treatment plan that fits all your needs. Please complete this form and we will contact you to schedule an appointment. Or call us at 713-621-7722. Learn why LipoMelt is for you! Non-invasive, LED-based light therapy is currently the highest in-demand treatment being sought by patients of today simply because of the healthy nature of the outcomes. Unlike ultrasound, radio frequency, laser light and freezing, LED-based therapies do not cause cellular damage. LED light has been shown to promote a natural response within cells based on the wavelength of the light energy used and the type of cell it reaches. Both red and near-infrared wavelengths have been used in a wide range of therapies that promote some form of healing response. Research has shown that Red and Near-Infrared light therapy is effective in draining fat cells of their content, reducing overall body circumference of treated regions with long-term results. The treatment is painless, and there is no adverse events associated with the process. The unique quality of the LipoMelt's system also helps to safely stimulate collagen and elastin formation in the body which contours the body while tightening the skin and reducing the appearance of fine lines and wrinkles. This helps to make a person appear more youthful. What is the LipoMelt's Non-Surgical Face Lift? Serente’s LipoMelt is the most powerful non-invasive body shaping system for professionals on the market in its class. It is much more powerful than it's competition & delivers Microchip based energy in both the red and near-infrared wavelengths. Simple to use, safe and hygienic, LipoMelt delivers effective results in just one treatment. 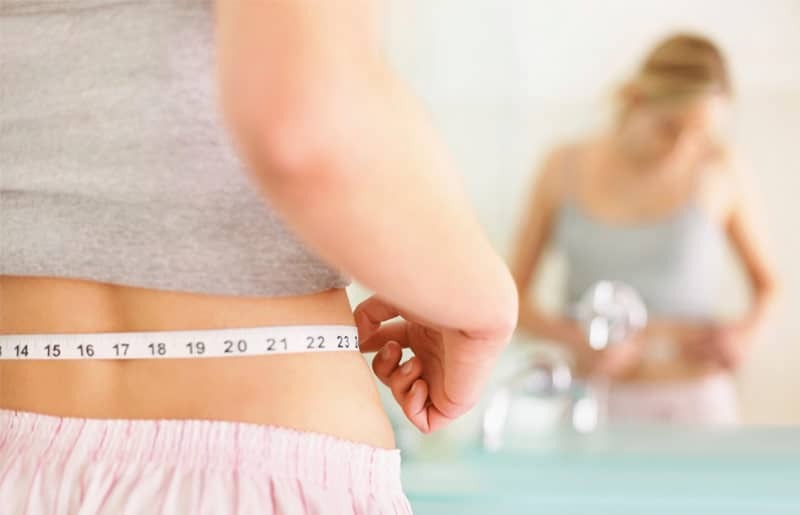 Our clients will be able to naturally slim, shape and tone the areas of the body they want including those difficult areas such as the waist, hips, thighs, upper legs and even the arms. LipoMelt uses unique red light to help naturally slim, shape and tone areas including the waist, hips, thighs and upper arms. It also uses near-infrared light to increase collagen and elastin formation while contouring the body and creating a slimmer appearance. Clients typically require 8-12 sessions of 30 minute treatments, twice per week for amazing results! Most clients desire treatments that are non-invasive and do not create downtime since most individuals cannot afford to take time off work or forego family obligations. The LipoMelt is completely safe and will not cause a client to alter their daily plans in order to recover from a treatment. The light delivered during a session with the LipoMelt is sufficient to generate the intended response, yet at a low enough level that it will not cause any irritation. The unique wavelengths of LipoMelt stimulates fat cells to release their contents which is then easily and naturally eliminated by the body. The amount of light generated by the LipoMelt pads is greater than any other similar device in this category, yet the overall absorption will be much more significant due to the pad and microchip technology. The amount of the light being retained by a client with the use of any other device will be substantially less than the light emitted by the LipoMelt system. What's So Special About LipoMelt's Near Infra-Red Light? LipoMelt's Near-Infrared therapy helps to safely stimulate collagen and elastin formation in the body which contours the body while rejuvenating the skin and reducing the appearance of fine lines and wrinkles. This helps to make a person appear more youthful. LipoMelt has also been shown to greatly enhance the body’s ability to heal itself while reducing pain. It is safe and painless and results are often rapid with no side effects. The Healing Nature Of LipoMelt? If your looking for a completely safe and natural answer to your aches and pains, you need look no further. LipoMelt has been shown to greatly enhance the body’s ability to heal itself while reducing pain. It is safe and painless and results are often rapid with no side effects. The 6 extra large pads are rated at 500,000 mW of light energy per pad placement; emitting much more light energy than the competition. What can my patients expect during a LipoMelt session? During the treatment, you will be placed lying down on a comfortable treatment table. Special pads will be positioned in strategic places on areas of body to be treated. Just close your eyes and take a nap as you melt away stubborn Fat!! Simply enjoy a relaxing 30 minute session and watch you transform. ​The unique light emitted from LipoMelt causes the fat cell membranes to temporarily alter the permeability of the cell wall. This brief change allows some of the fat contents to seep out to where it can then be processed by the body. ​What happens to the fat? ​Why should I recommend liver support to my patients? ​The liver is the ultimate filter to remove toxins and nutrient byproducts from the body. The fast release of fat can sometimes overwhelm the liver and for this reason a high quality liver support is recommended. ​What areas of the body can be treated? What risks or side effects are involved? ​There are no risks or side effects involved in using LipoMelt. It is considered a safe alternative to invasive procedures such as traditional liposuction. The LipoMelt treatment is 100% non-invasive and does not cause any bruising or scarring or any downtime. ​Do you have to follow a diet? ​No changes are required... but your clients can expect better results if they reduce their caloric intake somewhat and increase their water consumption to 50% of what they weigh. Meanwhile, reducing alcohol consumption will help the liver. ​Do you have to exercise? ​Does LipoMelt help with cellulite and loose skin? ​Clients undergoing LipoMelt have noticed an improvement with cellulite as well as skin tone and texture. ​What research has been done? What's So Special About LipoMelt? All other devices use Chinese made diodes that have proven to be problematic. Our German made microchips are more powerful and more reliable resulting in consistent and effective results. The LipoMelt system is made up of 5000 powerful German-Made computerized microchips. The unit includes a face mask and 6 large, sturdy and flexible pads all of which can easily cover all 11 priority regions at once. And the setup takes less than a minute. The combination of both red light and near-infrared microchips makes LipoMelt far superior in it's effectiveness. The current advancements of the LipoMelt System creates tissue coverage and penetration of the light that is superior to other LED devices as well as low level lasers, without the risks. It’s like wrapping your clients in a blanket with over 5000 powerful red and near-infrared microchips. Our new, larger, flexible pads cover more surface area than any other device on the market.